All roads lead to Eko Hotel on December 23rd, as Africa converges on one stage to present the highly anticipated annual fashion and music show, Music Meets Runway 2014 “The African Edition”. MMR Africa will showcase the best of music and fashion, from across the continent, on one stage in Lagos, Nigeria. 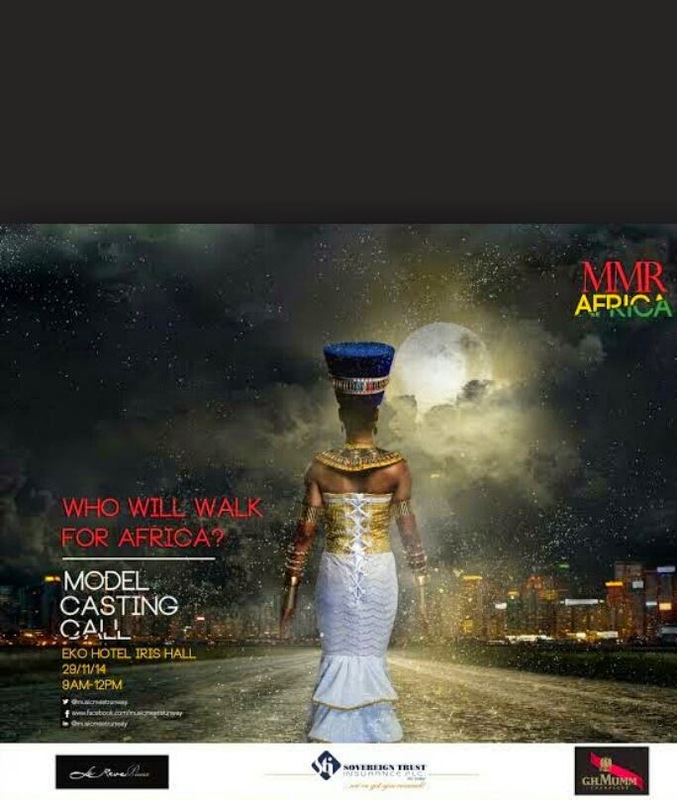 MMR is in search of the best models to strut the runway and if you know you have what it takes to walk for Africa, then this is your chance. All models must come to the casting in appropriate clothing. • Male modes: plain t-shirt & jeans. Music Meets Runway is an annual fashion and music show event, which features fashions by the new era of fashion being presented by live performances by popular music acts, including international artists. Over the years, Fashion and Music has created a style storm around the globe. The innovation, ‘Music Meets Runway’ is intended to provide a platform for talented designers, especially those who normally are excluded from the highly competitive world of fashion to showcase their unique art works WHILE talented music artists perform on stage.